Interplay manufactures a large range of educational and creative kits for children. From living creatures to creating jewellery, there is something to suit any child. Gracie loves learning and she loves getting outdoors and enjoying nature. Every year she helps me with the gardening and loves to watch the beautiful flowers grow. She doesn't quite like how different the garden looks in the winter though. She misses the flowers and the colours. 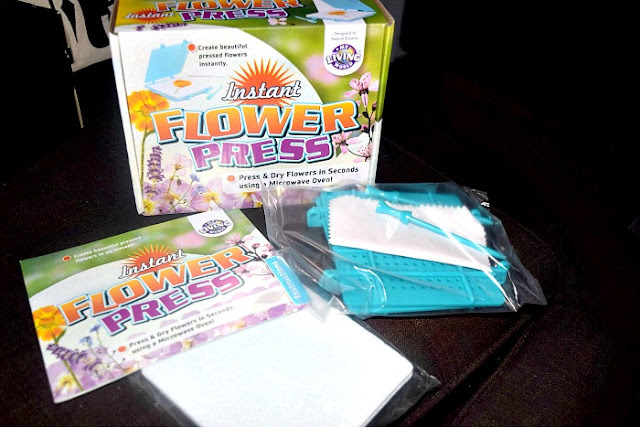 When I had the choice of choosing a kit from Interplay, my first choice was the Flower Press. I figured it would be a great idea to use it as an excuse to go for a nice walk down past the woods looking out for the last of the flowers and press them so we could use them to create nice home made cards. To be honest, we haven't chosen the best time of year for this activity. It did mean we got to really experiment though. Zach chose a pretty yellow flower (I am not sure of the name), Gracie chose a Daisy and I chose some Lavender fresh out of the garden. All three flowers are very different both in looks and texture. To press the flowers we had to put together the plastic press, pop two foam pads onto the press followed by the cloth sheet. We then placed our flowers on top of the sheet before covering with another sheet, then two more foam pads. We then closed the press and used the peg to close it securely. We then put the press in the centre of the microwave with half a cup of water (ensuring to use a microwave safe cup) for 20 seconds. Of course some flowers take longer than others and I found I had to repeat the microwave process another two times before getting the results I wanted. 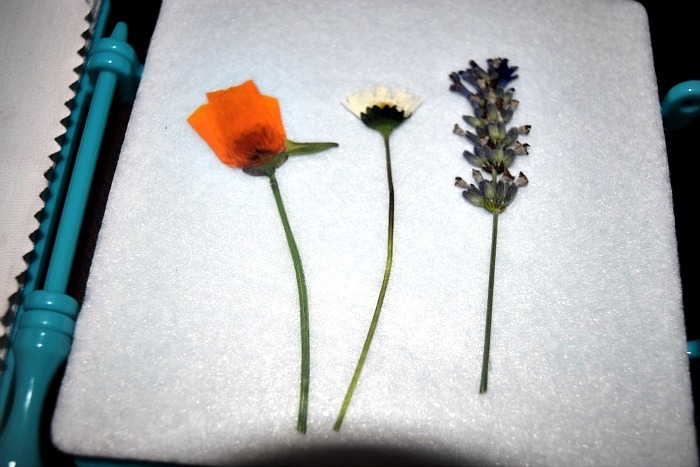 We found the Lavender came out perfect, the daisy was very flimsy and didn't look quite as nice as the other two and the pretty yellow flower came out feeling lovely and silky. 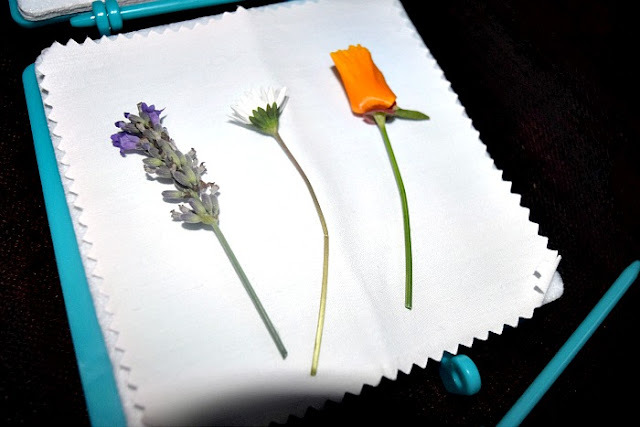 The Lavender was obviously the bigger success and would be lovely to use to stick on cards, bookmarks or even tie a few together and stick on a lovingly wrapped parcel for a friend. Now we need to look out for some nice winter flowers to experiment with! The kids had so much fun with the Flower Press kit and I can see it being used a lot over the next few years by them and me!